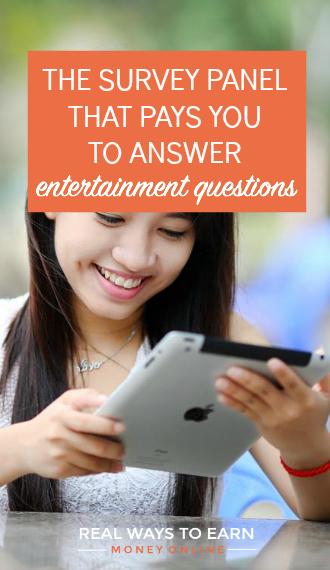 Epoll Surveys – Make Money Answering Entertainment Questions! Published July 26, 2012 By Anna T. This post may contain affiliate links. Regardless, I only recommend sites I've researched and/or used and trust. Back when I used to answer surveys all the time, Epoll surveys was one of my favorites. I haven't done any surveys for them in a long time. However, I wanted to share some info on them with you today since they are one of the best panels. It goes without saying that taking online surveys for money won't make you rich, and it won't replace your day job. But, it can be a fun way to pass the time — especially if the questions are of a more interesting nature, like you get with Epoll. You can redeem points for Paypal cash. I'm usually OK with redeemable points if I can convert them to real money in some way. There are also plenty of other gift card options like Amazon, Target, restaurant gift cards, etc. The points seem to add up very fast. They are pretty generous with the amount of points you get per survey, and I was able to cash out quite often (which is why they're one of my favorites). Even if you don't qualify for a survey, you still get the points. So for example if they ask you one question and you answer “no” and don't get to continue the survey, you'll still get the full point amount just as if you had taken the whole thing. There is no booting you out and giving you nothing but a sweepstakes entry, which is what most other companies do. Most of the surveys are about entertainment and news, which makes them a lot more interesting to take. E-Poll pays in redeemable points. Even though you can redeem for Paypal money, I just don't understand why companies have to confuse things with these points. Many people complain that the surveys are too infrequent. I think when I was a member I got maybe three or four survey invites per month, but some people report only one or two a month. Participating on Epoll surveys is of course just something to do for pizza money, gas money, or a little bonus depending on what you redeem your points for, and no one is going to get rich from it. However, I always enjoyed taking surveys for this company because despite the redeemable points thing, it seemed I was able to cash out pretty often and they are very generous with the points you get. It was nice to receive the full point amount even when I would screen out of a survey. I also typically loved the subject matter of every survey. Answering questions about news stories or movies/TV shows is far more interesting to me than answering hundreds of redundant questions about a product I haven't tried yet. Want to sign up at Epoll? Go here to start accumulating points at Epoll. The infrequency of surveys is not the part of EPoll that bothers me. I am more than willing to do surveys as they hit my inbox. However, when it’s time to cash out, I should not have to wait over a month to be paid which is the biggest issue with E-poll. I’ve had great success with getting paid very fast with other sites but I am still waiting on just $5 from this one. It is very, VERY frustrating and unmotivating to say the least.